What’s up, guys! 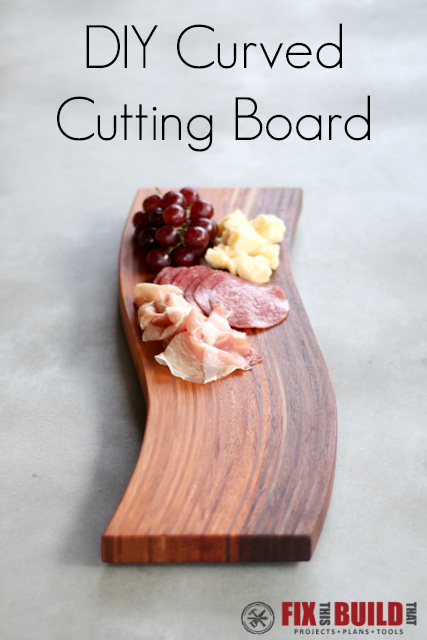 Today I’m going to show you how to make a DIY Curved Cutting Board using bent lamination. 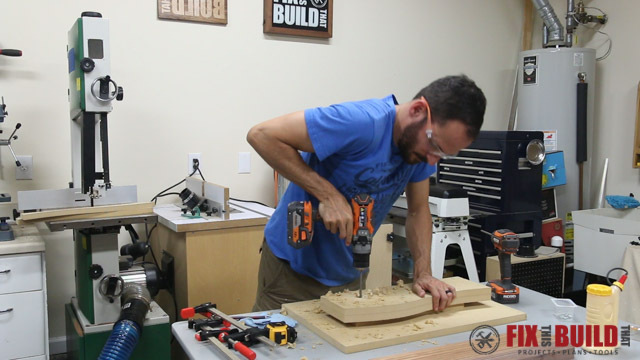 If you aren’t familiar with this woodworking technique, don’t worry…neither was I! 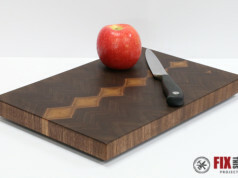 I’ve already done a post on How to Make a Cutting Board from Any Wood where I made a traditional edge grain cutting board. So I wanted to try something new this time and I went for a 49 layer bent wood lamination! 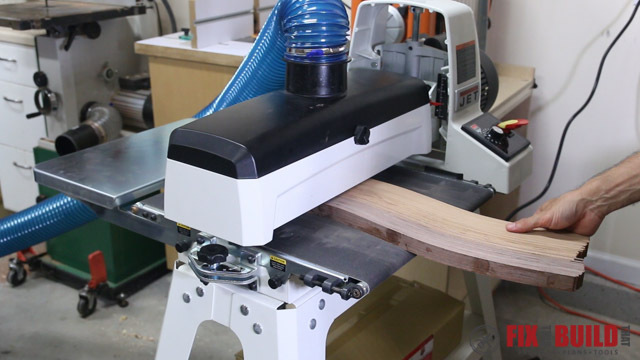 I’m doing this project in partnership with JET Woodworking and got to try out their new JET 18-36 Drum Sander for this project. 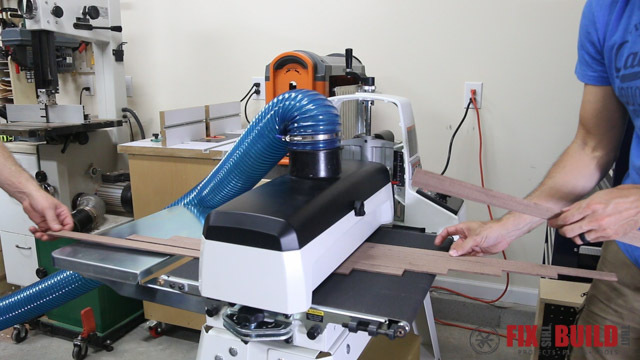 You don’t have to have a drum sander to do bent lamination, you could also use a planer to do the same steps. But boy does it make it easier! 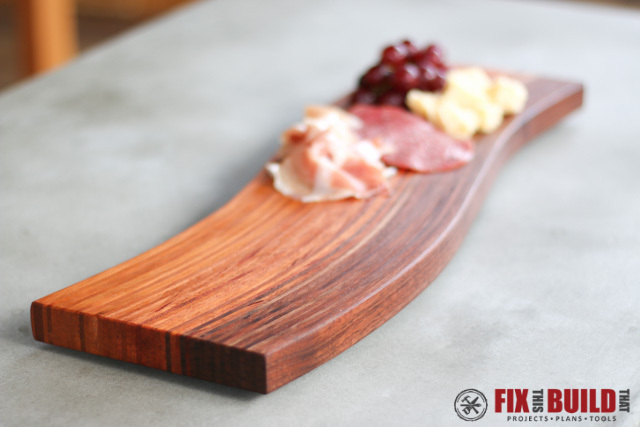 I started the DIY cutting board build by picking out some walnut, mahogany and cherry boards that were all around 1-1/2″ thick and 20″ long. 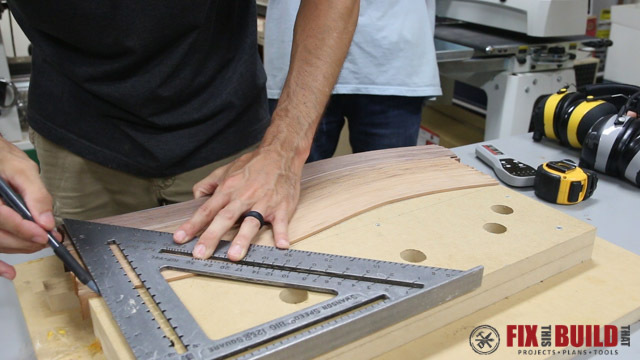 I planed the boards down until they were smooth, flat and the same thickness which ended up at about 1-1/4″. For dry bent lamination the strips need to be 1/8″ at most, but at the same time I wanted them as thick as possible to reduce the number of pieces needed. 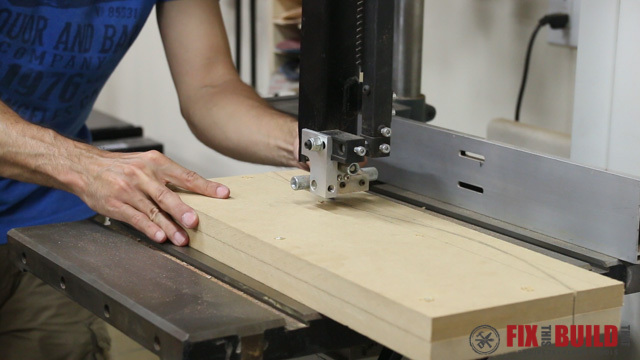 I setup my bandsaw to make a strong 1/8″ cut so after sanding they would be right at or below 1/8″. 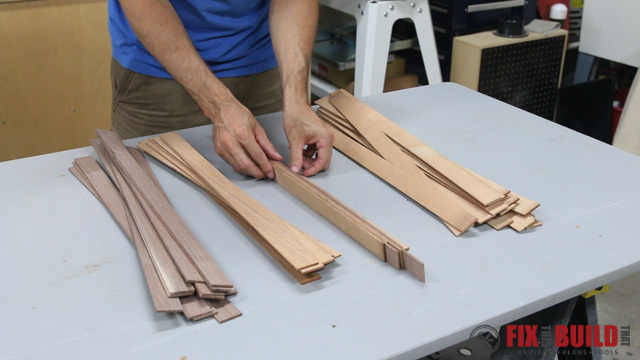 I cut down the cherry, walnut and mahogany and ended up with 50 strips, which in theory would give me just over a 6″ board with 1/8″ pieces. The pieces were rough on both sides at this point so I needed to flatten them. 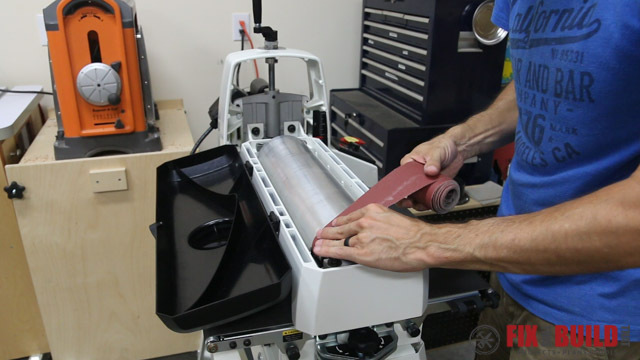 Like I mentioned, I got to test out the new 18-36 drum sander I got from JET Woodworking. I changed out the paper from 80 grit to 120 grit which will let me go straight to glue up. 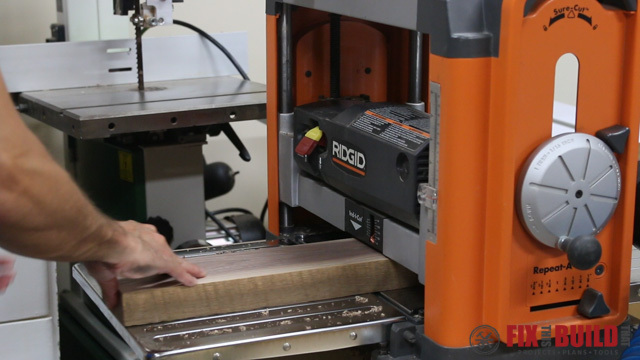 We ran the strips through until all the milling marks were gone. The new dust collection baffle on the sander works awesome and I could tell it collected more than my old sander since there was little if any dust smell in the air. 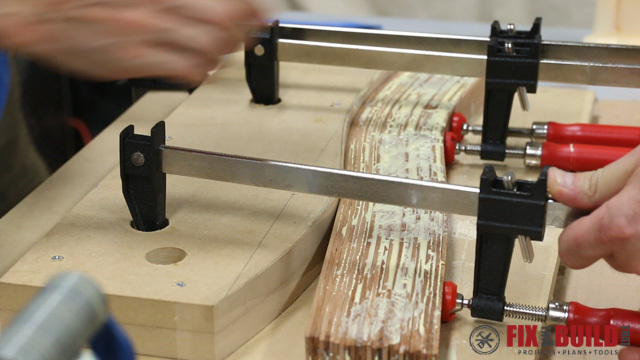 This process could also be done on a planer, but you may need a sled to plane to or under 1/8″. After the cutting board strips were milled I split them back into their wood types. Then I arranged them as best I could from dark to light and overlapped a few pieces at the transitions for an ombre look. At this point we started laying out the curve and figuring out what the shape would be to make the form. We settled on a gentle sine wave style curve with four points of inflection over 20″. 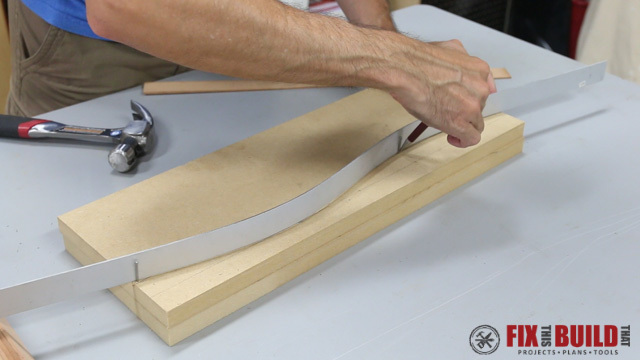 I cut two 20″ long and 8″ wide pieces of 3/4″ MDF to make the bending form for the cutting board. I drew two lines 1″ apart down the length of the top piece. Then I split the line up into thirds and put a finish nail in at each inflection point to hold a strip for marking the curve. I marked the curve with a metal ruler then glued and screwed the two pieces together for a 1-1/2″ tall form. To cut the curve for the form I went to the bandsaw and just followed along the line in one smooth cut. And there is no need to sand the form here. 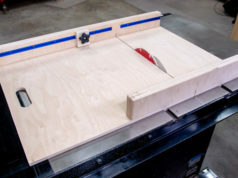 I’ll be using f-clamps to clamp the strips in place so I drilled a series of 1″ holes in the form for the clamp heads. 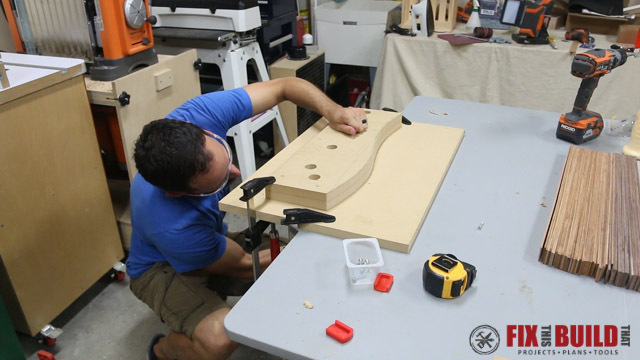 The holes were positioned so the clamping pressure would be at a right angle to the curves. 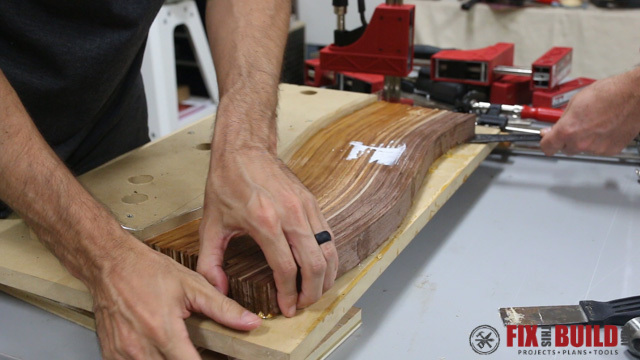 Now comes the fun part…the glue up! 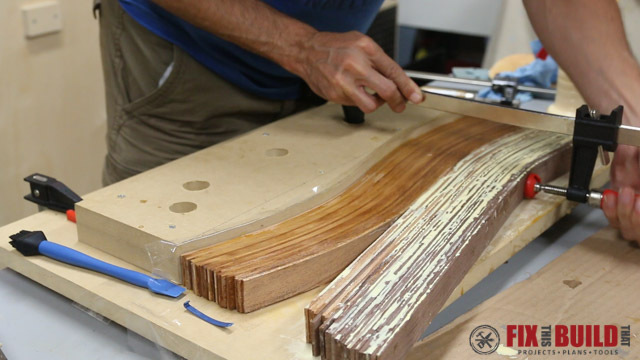 After a dry run we decided to do the glue up in two stages, one half at a time. We got all hands on deck and the three of us spread the glue on the first half of the strips. We lined the strips up one by one onto the form then started clamping the layers in place working from one side of the form to the other. 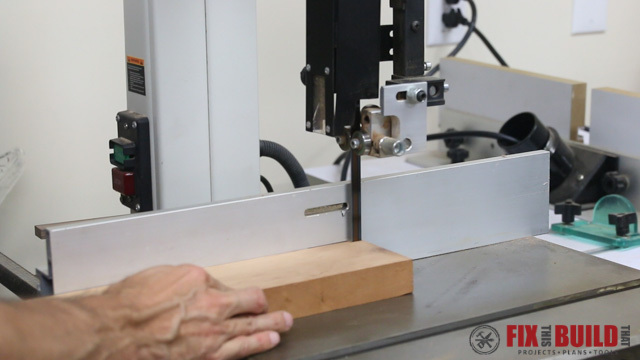 We used a deadblow mallet to flatten the glue up as necessary. After about 3 hours we took the clamps off so we could add the second layer and let the whole thing dry over night. We decided to actually just leave the first layer in place and add the second layer after sanding the outer face of the first half. The next morning we took off the clamps to reveal the full cutting board. With this many layers in the lamination there was almost zero spring back when we took off the clamps. We pried the board off the form with a putty knife and were greeted with a lot of uncured glue. I wiped and scraped off as much as I could then we put a fan on the wooden cutting board to harden and skin the glue before planing. After it was dry we took it to the planer for a few passes to clean up the faces. 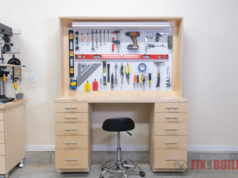 Any gaps we had seen before ended up disappearing after we flattened the board and the glue up looked great. I took the board back to the 18-36 drum sander for a few passes to get rid of a tiny bit of snipe and get down to the final thickness just over 1″. Then I used a card scraper to clean up the outer edge of the last glue up which had some flat spots from the clamps. By the way, a couple parallel clamps make a great knockdown end vise. 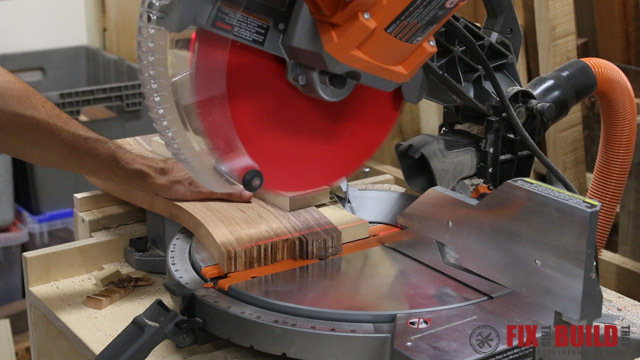 The next step was to trim the ends of the DIY cutting board. 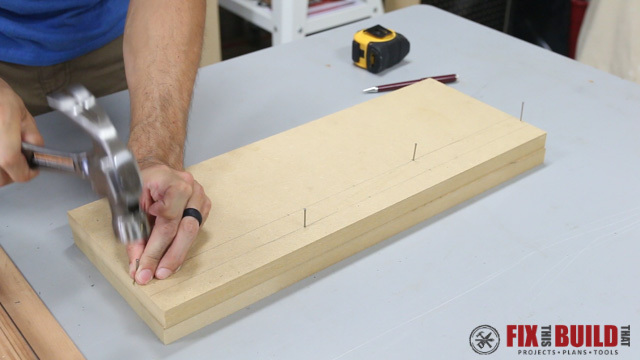 I laid the board back in the form and used a large carpenter’s square to reference the back of the form and draw parallel lines for the ends. To cut the ends I used the offcut from the curve of the form to get solid contact with my mobile miter saw station fence. I made some minor adjustments, clamped the board down then cut both ends to size. 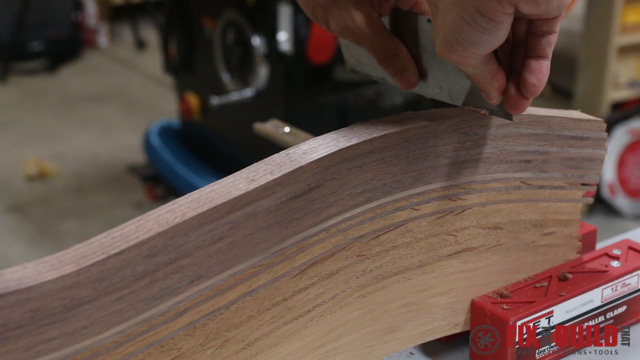 This method worked really well so make sure you keep those offcuts. 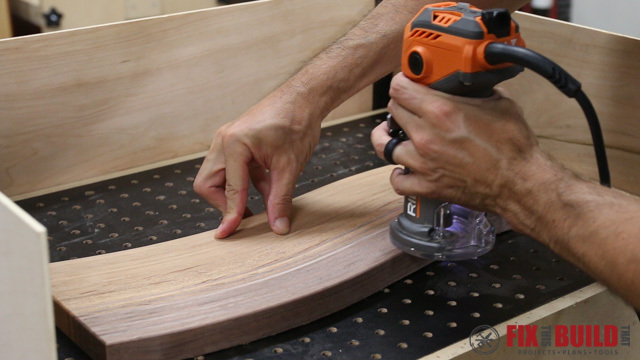 To finish the edges I used a 1/16″ roundover bit and went around the top and bottom of the board. I rounded the corners by hand and sanded the whole board up to 220 grit. For a smooth board after the first use, I raised the grain with water in between grits. You can see that technique in my edge grain cutting board video that I’ll link to above and in the description. Finally we were ready for the payoff, oiling the cutting board. 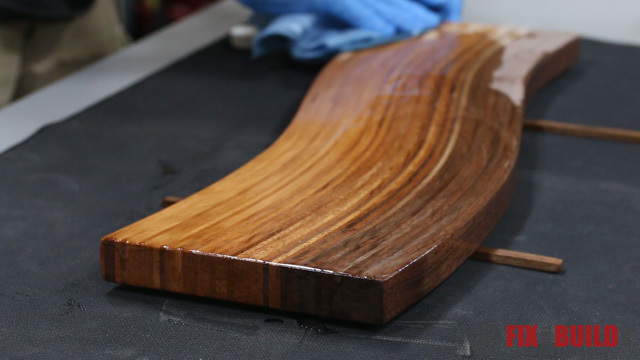 I used straight mineral oil for the first coat and watched the grain come to life. I finished the DIY cutting board off with a beeswax and oil mix that gives the board a great sheen. 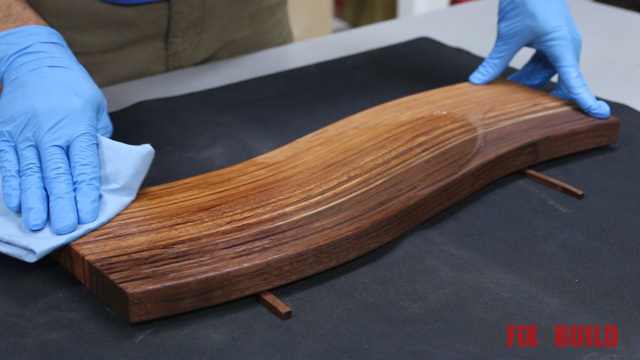 This was a great project to understand bent lamination. These same steps and techniques can be used to make all kinds of different curves and shapes. 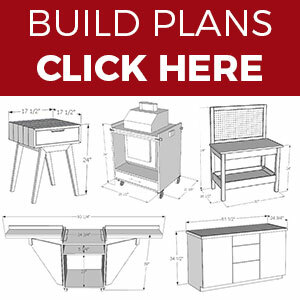 I’d love to hear in the comments what you plan on making with bent lamination.